Soluble Fiber Caps - Take every day to help promote heart healthy by supporting healthy cholesterol levels within the normal range. 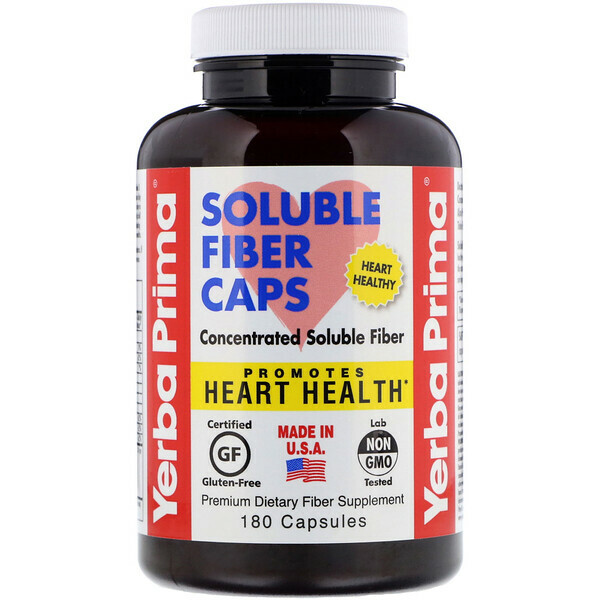 Help guard your heart's health with the extra nutrition provided by soluble fiber caps. To help support heart health, take 3 servings a day, with meals. Adults and children over 12: To help support heart health, take 5 capsules 3 times a day with meals. As a fiber supplement, take 5 capsules 1-3 times a day with meals. Start by taking 1 serving each day. After a few days, increase to 3 servings per day as needed. Swallow one capsule at a time. Take each serving with at least 8 ounces (a full glass) of water or other liquid. Drinking additional liquid is helpful. If minor gas or bloating occurs, reduce the amount you take until your system adjusts. Use everyday for best results. Psyllium seed husks, acacia gum, gluten free oat bran, apple fiber, apple pectin, usp kosher gelatin capsule. Note: The carbohydrate in this product is primarily non digestible fiber; digestible carbohydrate is less than 1/2 grams per serving. 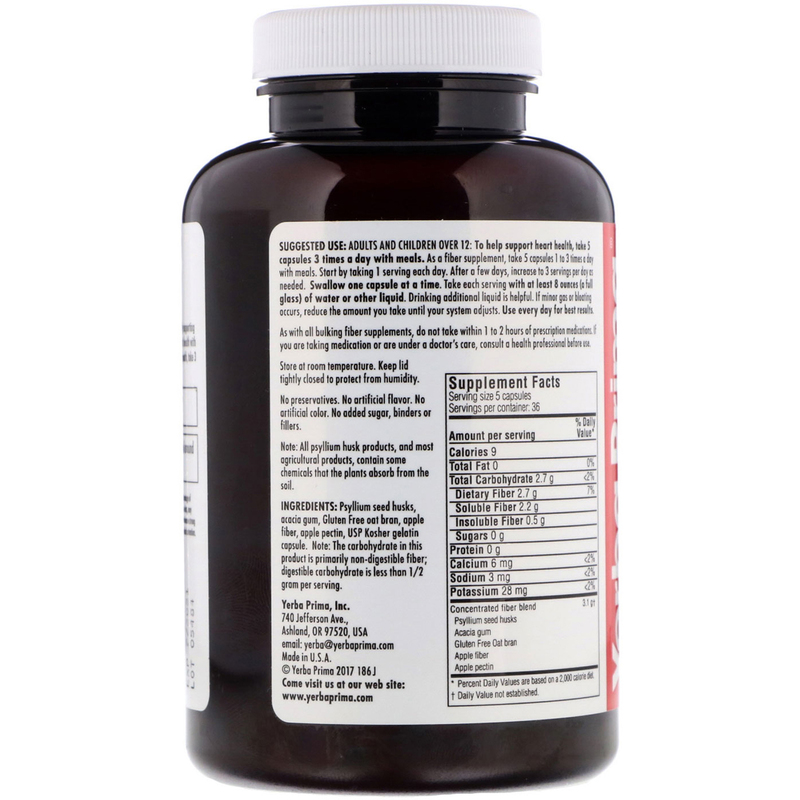 As with all bulking fiber supplements, do not take within 1 to 2 hours of prescription medications. If you are taking medications or are under a doctor's care, consult a health professional before use. Note: All psyllium husk products, and most agricultured products, contain some chemicals that the plants absorb from the soil. Safety sealed: Do not use this product is printed band around cap or seal under cap is broken or missing. Caution: Do not take capsules if you have difficulty in swallowing. A very small percentage of individuals, particularly health care providers who have been occupationally exposed to psyllium dust, may develop a sensitivity to psyllium. This sensitivity may result in an allergic reaction. If you experience a strong reaction, with difficulty swallowing or breathing after taking this product, seek immediate medical attention. Keep out of reach of children. This product contains a chemical known to the State of California to cause birth defects or reproductive harm.